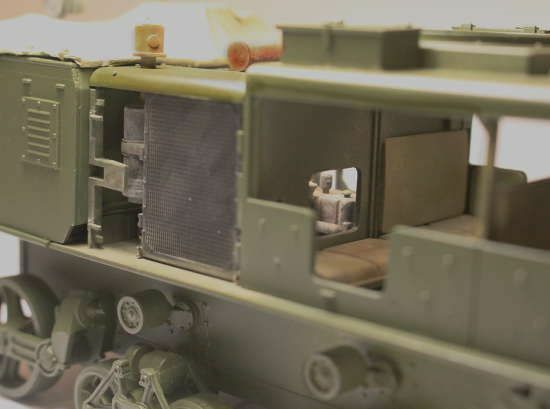 Something a bit different: progress on the M4, High Speed Tractor to go with the Ammo Trailer, 155mm and Mack NO on this fire support mission. And yes, I cut the roof panels off and framed up the engine compartment sheet metal to better see the added detail in the engine area. There is also an engine access panel behind one of the seat backs in the cab that I opened up for yet another chance to better see the engine. Open engine access panel seen from inside the cab. I plan on framing up the back of the missing seat back and leaning it against the other seats as though just thrown aside. The bottom of the radiator on the model has five hose fittings, clearly the center one is for the engine cooling water. The two at the rear are for the engine oil cooler. The two to the front are for the transmission oil cooler. There should be four additional smaller hose lines running, one each, to these fittings. I figure the purpose of this access panel is to reach these bottom radiator fittings for maintenance. You cannot get to them from the rear b/c of the ammo box and fan drive mechanism and the only other recourse would be to lay across the engine and hang upside down to reach them. 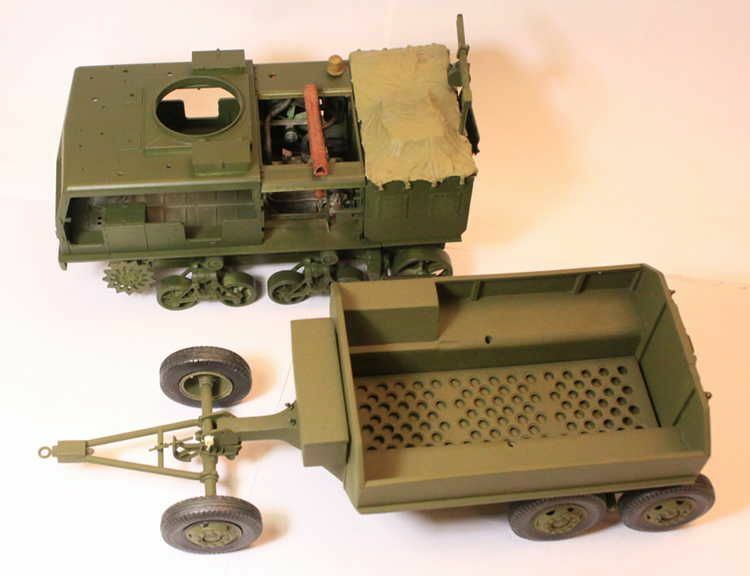 I know there isn't a plastic kit available for the Mack NO 6 but is there a kit that can give a good start to scratch building a NO6? 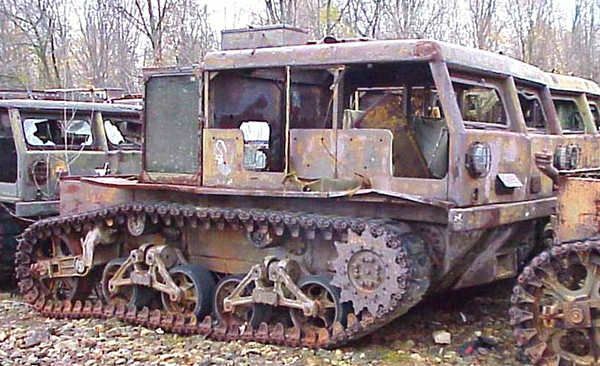 I know you utilized the Tamiya Dragon Wagon with tons of scratch building but I thought maybe there would another kit that can be used, like the AFV 5 ton? As far as I am aware the answer to your question is no. 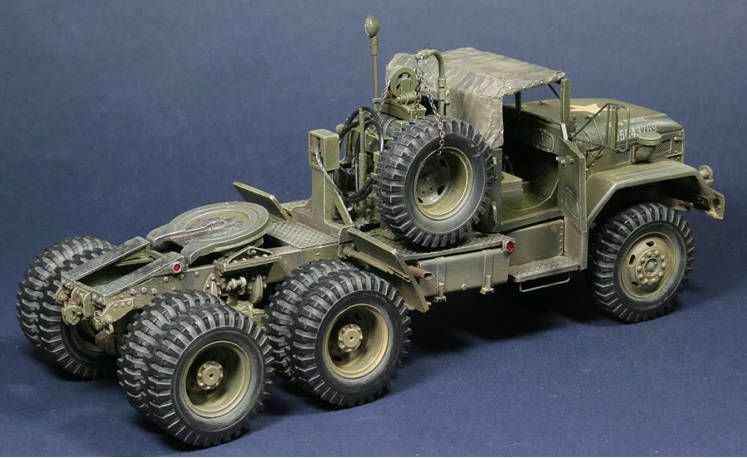 Gino recently pointed out that the Tank Workshop wheels for their M123 are also correct for the Mack and for the post-war White 666 semi-tractor. Also the TW wheel drums are close to correct with just some slight modifications to the rear hubs. 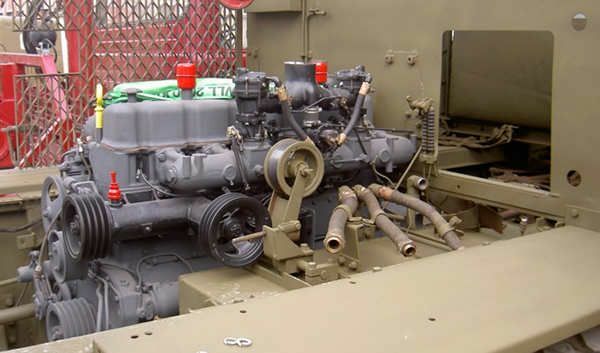 I personally have never seen the drive line on the M123 so I cannot comment on how much it is or is not like the Mack but wasn't the M123 also built by Mack? So there could be great similarities there! Perhaps Gino can chime in here with an opinion. They were both built by Mack, but 20 years apart. 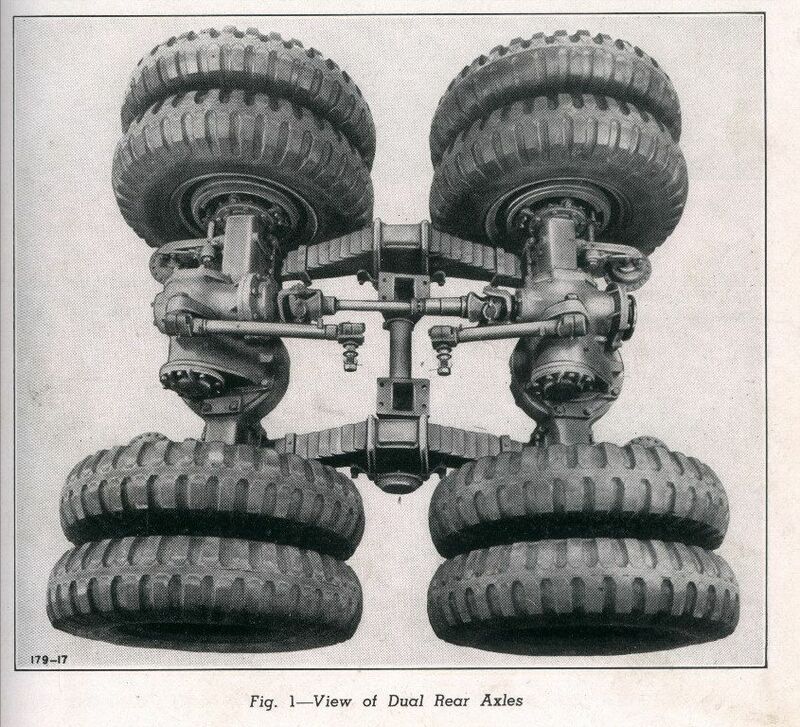 The driveline on an M123 has the same type as the M54/M35 in the rear (with geared diffs that have the driveshafts entering from above) and the same type as the M25 Dragon Wagon in the front (a large round diff with shaft entering from the rear). 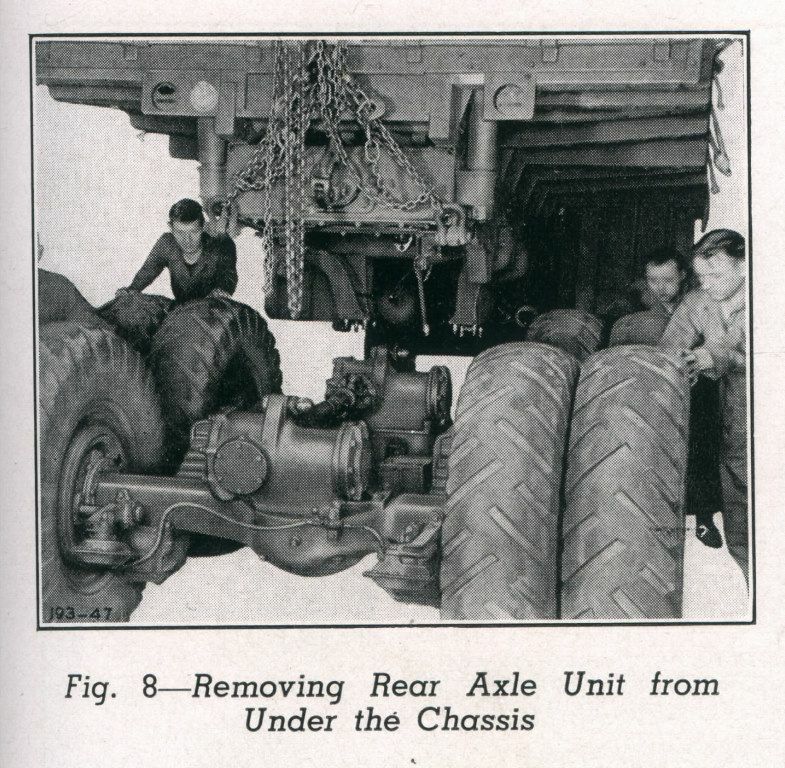 I have not really looked into it, but I believe the Mack NO has diffs like a CCKW with the driveshafts entering from the front/rear. I have to correct you on that one Gino, the Mack NO had the geared rear differentials as you describe with the driveshafts running across the top. Sorry cannot put my hands on a photo right now to prove it. The Mack also had, at least a similar front differential to the Dragon Wagon but the pumpkin was off-center rather than being centered between the wheels. The 10 ton M123 certainly looks like a slightly bigger Mack NO just with, what I will call, the Army's standard 5 ton cab installed. By the way, someone on the Shapeways site is offering that top-feed winch in case anyone is interested. Still cannot find a photo of the underside of the 10 ton M123! I do have a bottom photo of the Mack NO. Somehow David Doyle found a real beauty and published it in his Allied-Axis book on the Mack. You can sort of see the flat diffs on the M123 above. It has the same exact rear axle/suspension/diff setup as an M35/M54, just more robust. You can see the large, round front diff above too. 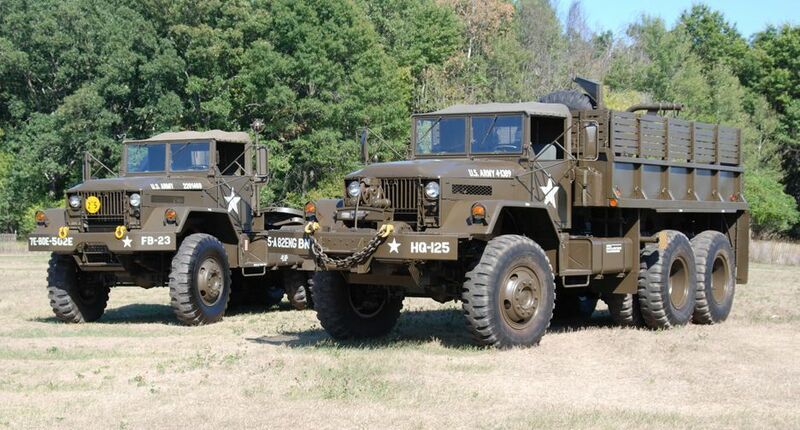 If yopu want to scratch a Mack NO, I recommend getting in touch w/the Mack Truck Museum. I contacted them when I was getting ready to build my M123A1C and they sent me a bunch of pics and very detailed line drawings for it. I could not have built it as detailed as I did without their help. The Museum's NO6 is soon scheduled to come out of the restoration shop and into the public display. I believe this is the vehicle that was in the Littlefield Collection but the site does not say. 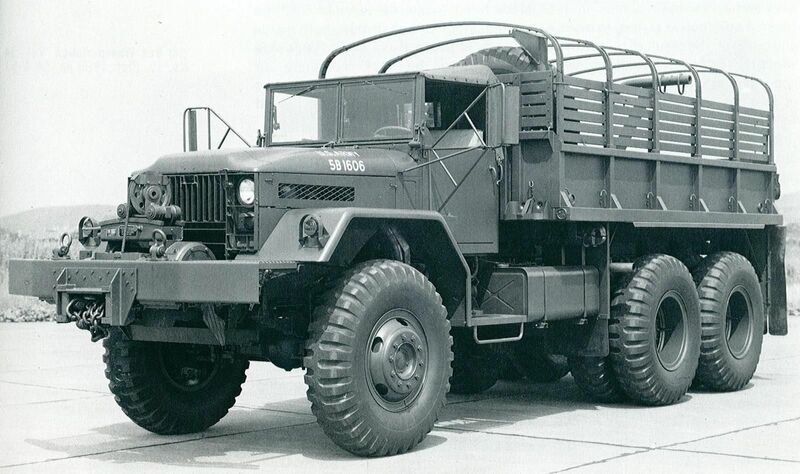 The 10 ton Vietnam era Mack. This one owned by Mark Austin. Different from the Mack NO6 but you can clearly see the genetic heritage in the vehicle!